The all-new Lexus IS has been honoured as the ‘Executive Saloon Car of the Year’ by Wheels magazine, at a gala event that was held at The Ritz-Carlton hotel in Dubai recently. 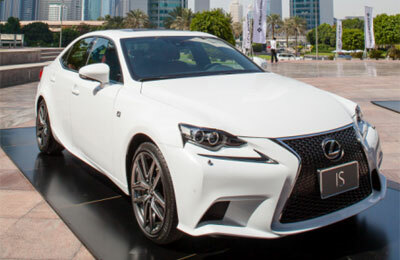 “The public and the customer reaction to the new generation Lexus IS has been strong as the dynamic car engages with the driver on an emotional level through its amazing response and bold design,” said Christopher Buxton, general manager of Sales at Al-Futtaim Motors, a member of Al-Futtaim Group, a leading UAE business conglomerate, and the exclusive distributor for Toyota, Lexus and Hino in the country. Every aspect of the IS has been engineered with a renewed focus on engaging performance, agile handling, accurate response to driver input and highly communicative feedback, a statement said. In conjunction with a bold new design including the Lexus spindle grille, the all-new IS has been meticulously engineered to have excellent dynamic capabilities, which results in an exceptional driving experience, it added.